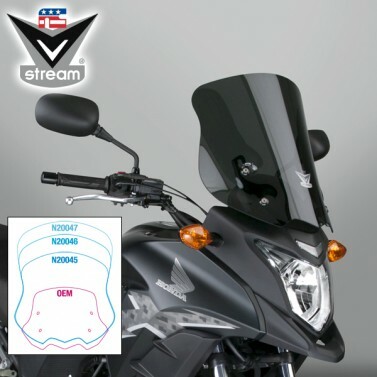 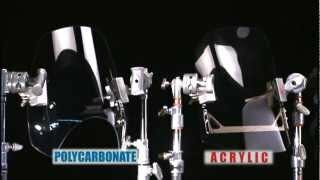 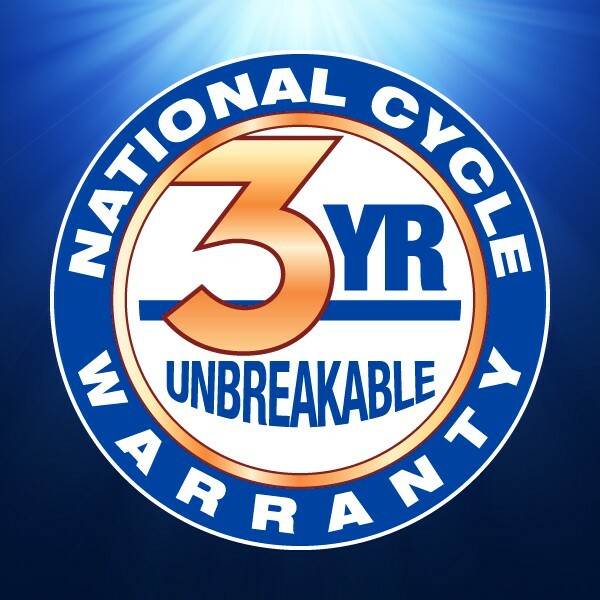 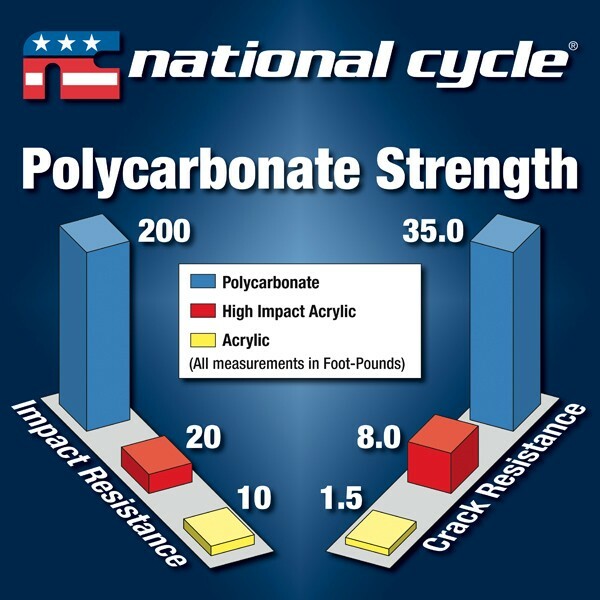 Riders of the Honda® CB500X are sure to love the advantages offered by National Cycle's new line of VStream® windscreens. 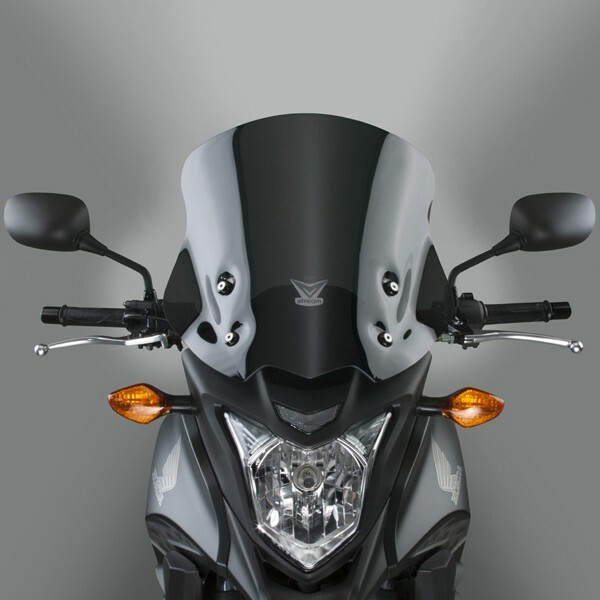 Designed specifically for the CB500X, these windscreens dramatically reduces the wind noise and buffeting experienced with the stock windscreen on both models, enabling longer rides in much greater comfort for riders of virtually any height. 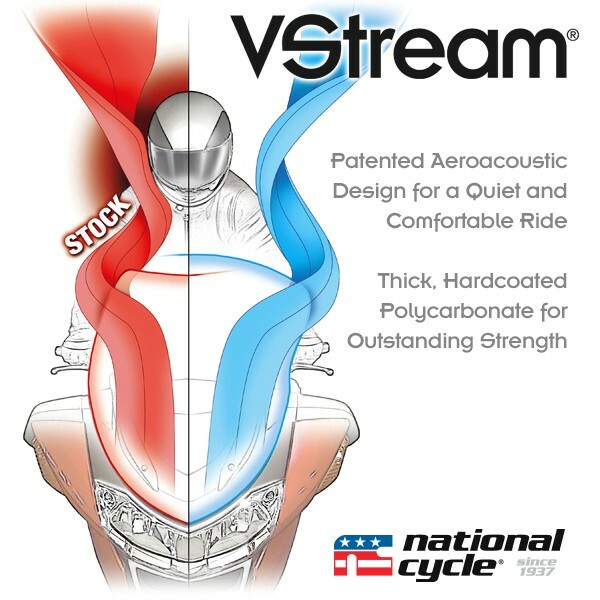 The Sport size, dark tint VStream gives the V-Strom a serious, dynamic appearance while still offering the benefits of VStream wind management.